Vespa scooters are a milestone in the 2-wheeled world with their iconic design which is as simple as it is unmistakeable. 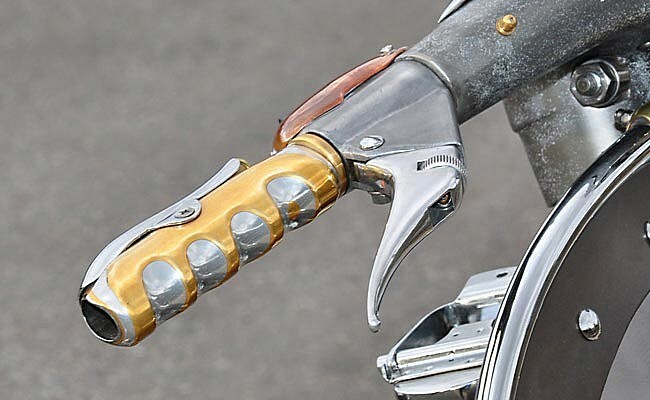 However, their classic attire can be transformed into something new, with a character so striking and unique that it really makes us gape in awe. 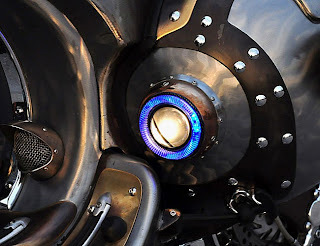 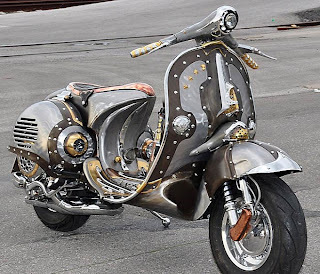 And the Guardian, Pulsar Projects' steampunk Vespa is such a scooter. 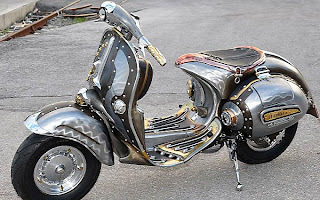 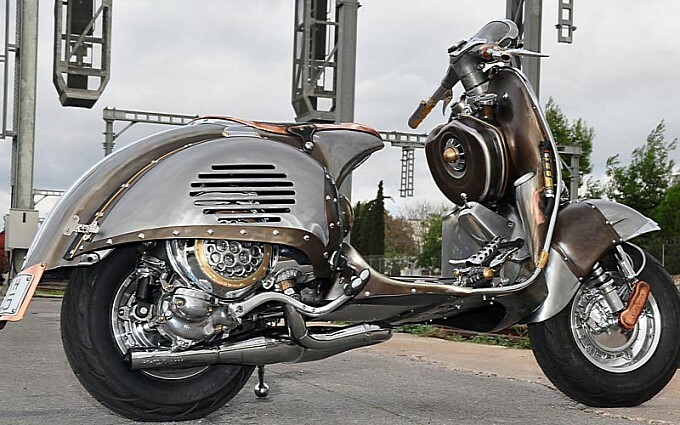 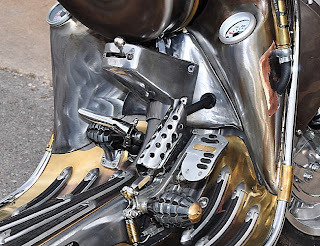 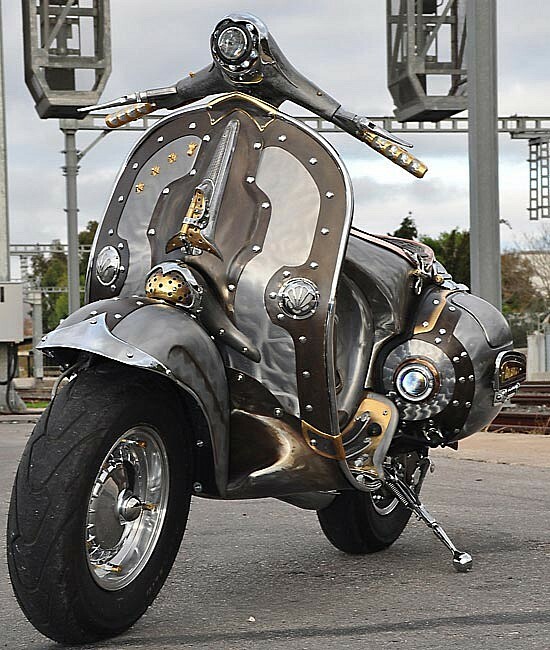 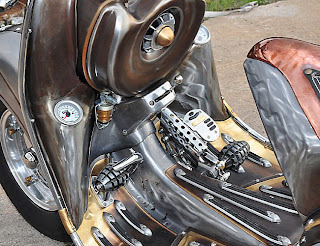 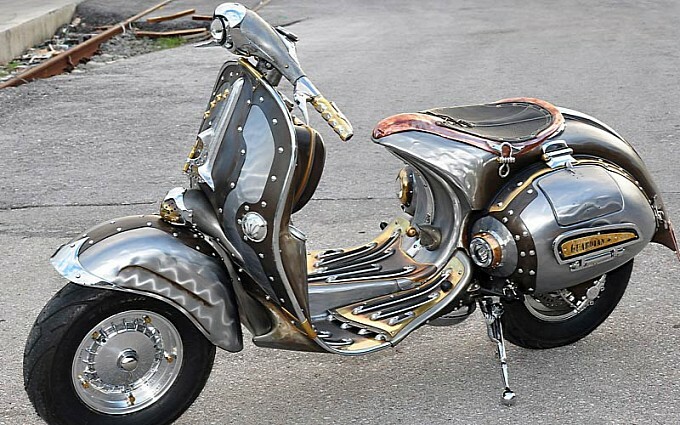 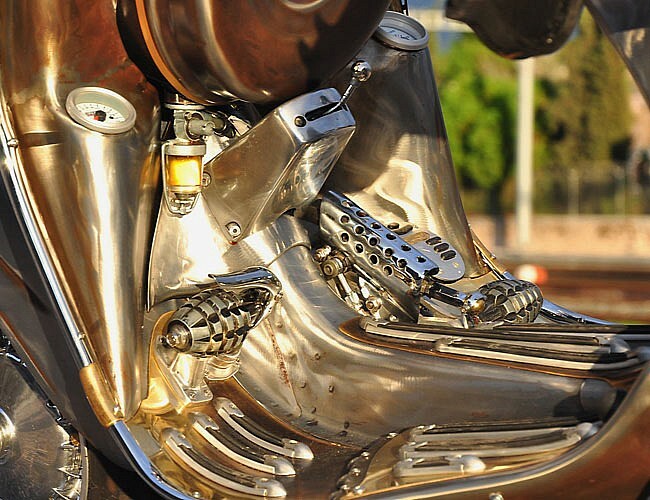 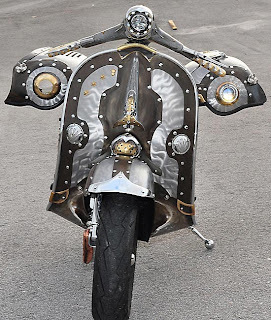 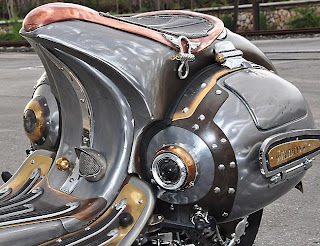 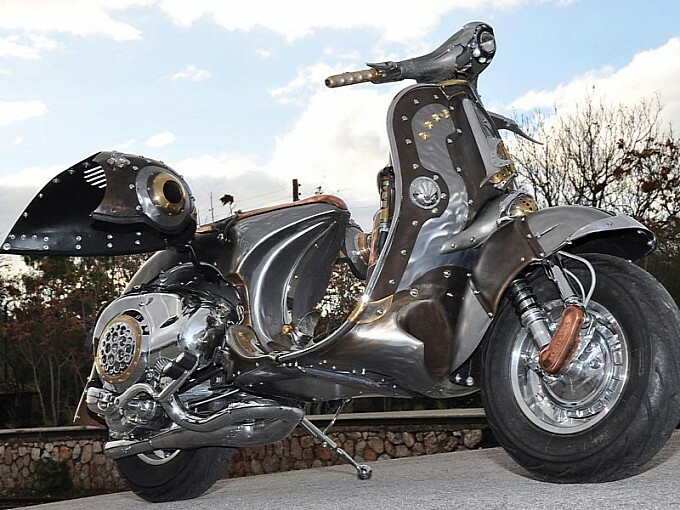 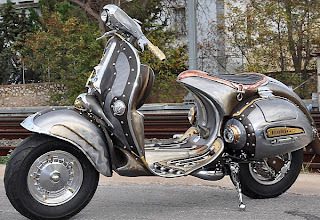 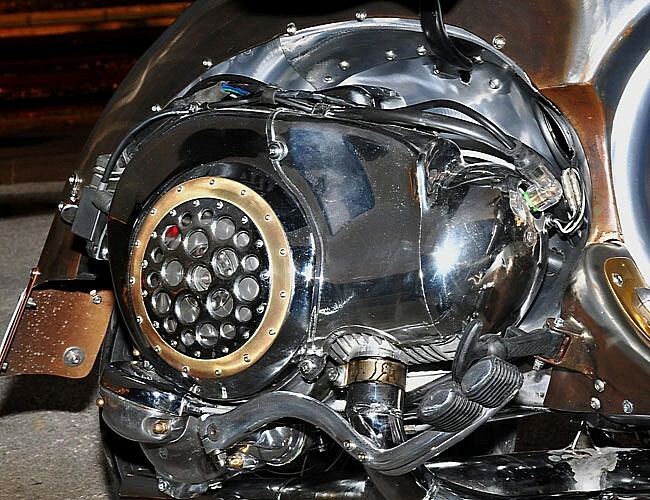 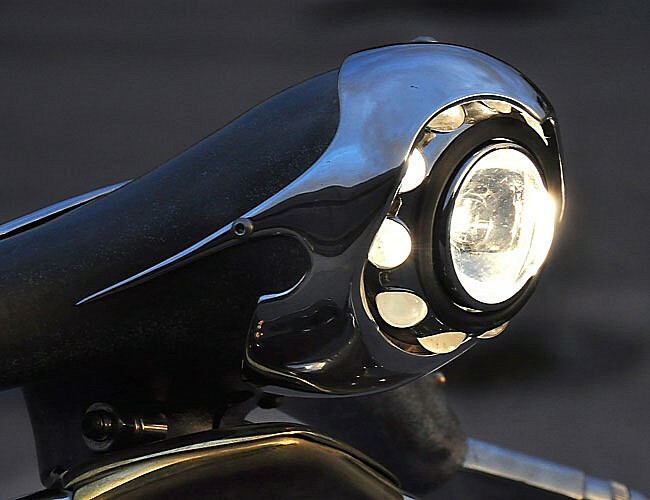 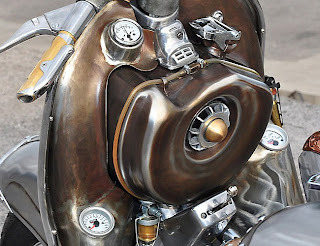 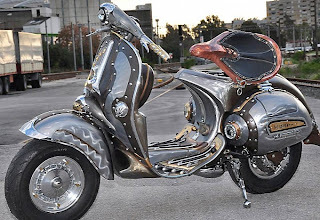 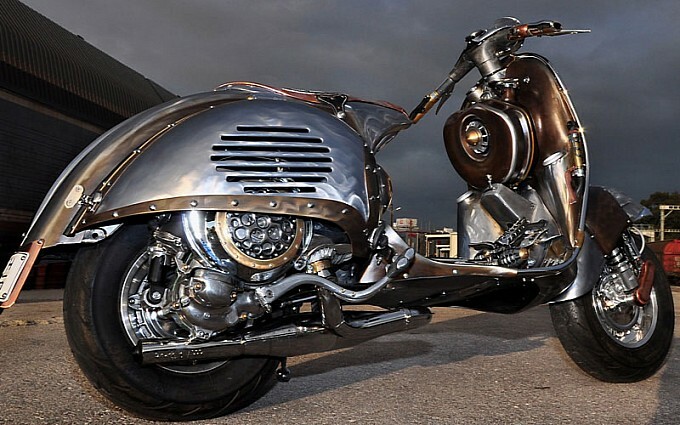 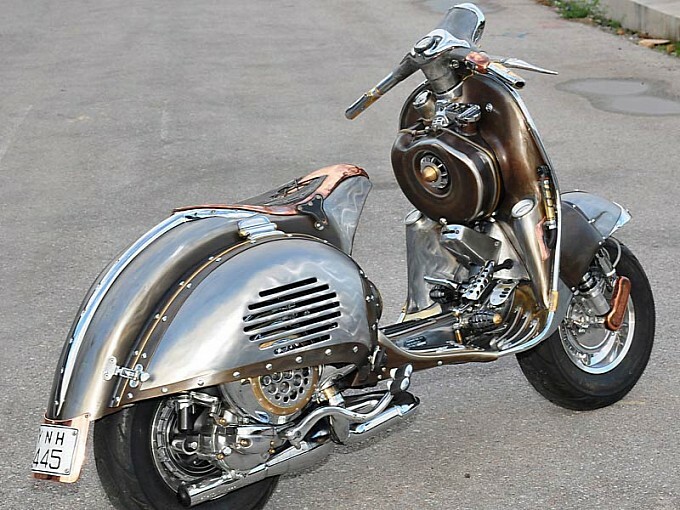 Created by sculptor Cris Cofitis, the Guardian is anything but the Vespa we expected. 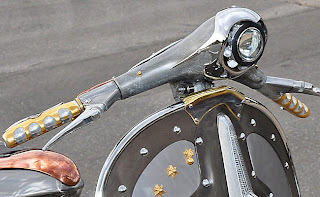 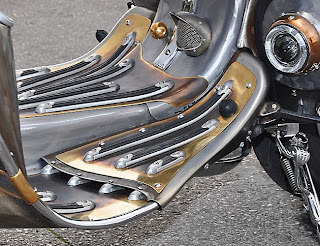 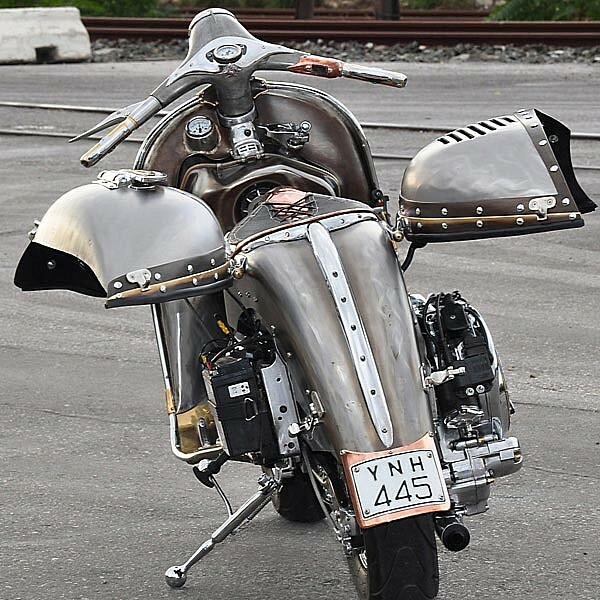 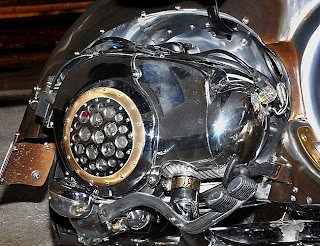 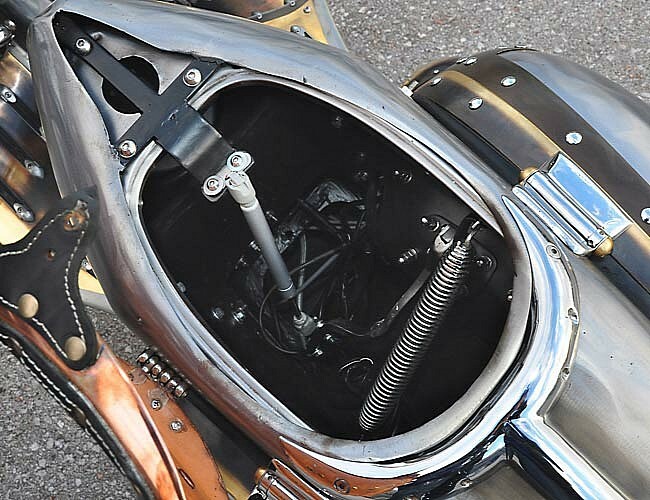 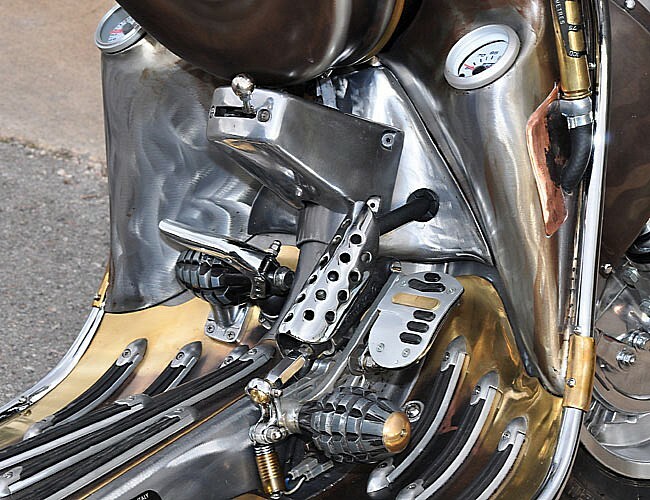 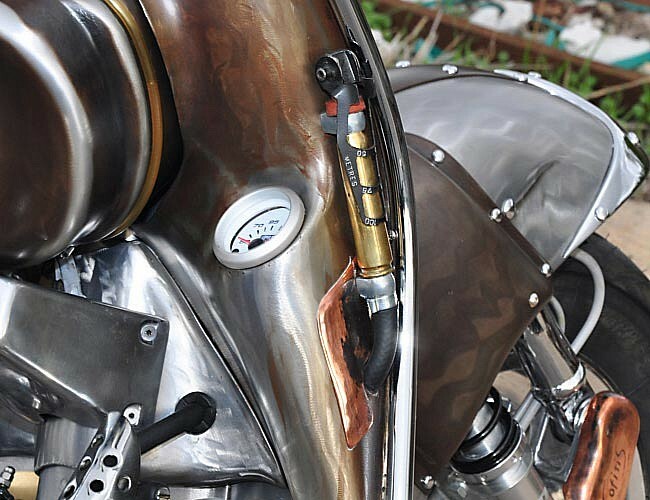 With a painstaking care for the minute details, Cris has managed to create a scooter which resembles more to a sculpture on wheels. 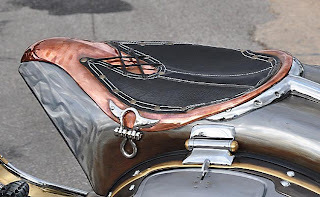 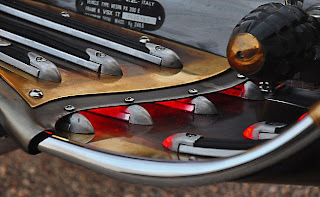 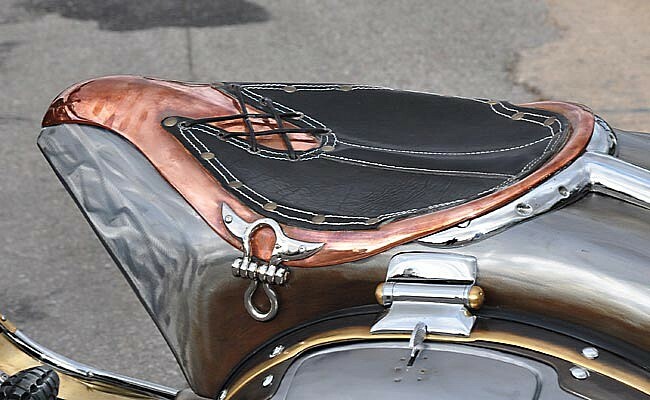 What's even more striking is the fact that Cris Cofitis was able to retain all the vintage character of the Vespa, with its massive apron and fat side covers, while at the same time leaving absolutely no part unmodified. 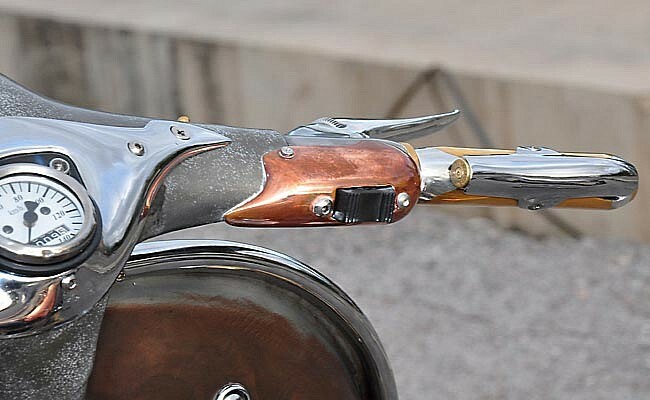 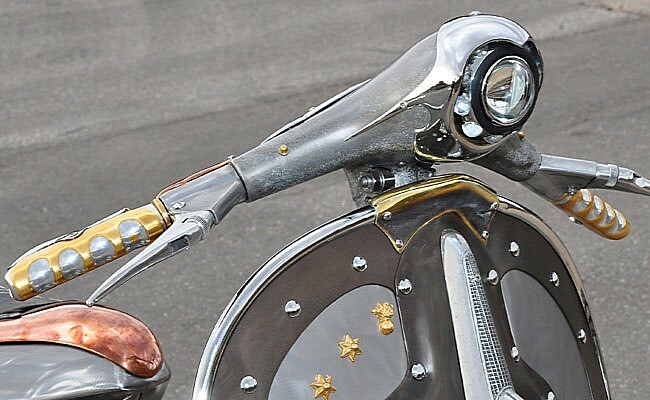 This steampunk bonanza is even more alluring because of all the stylish details: far from simply loading all sorts of brushed metal parts and bolts on the basic scooter, Cris has made full use of his expertise as a fashion designer to carefully trim everything into place, maintaining a wonderful balance between art and mechanics. Original source: the autoevolution website. 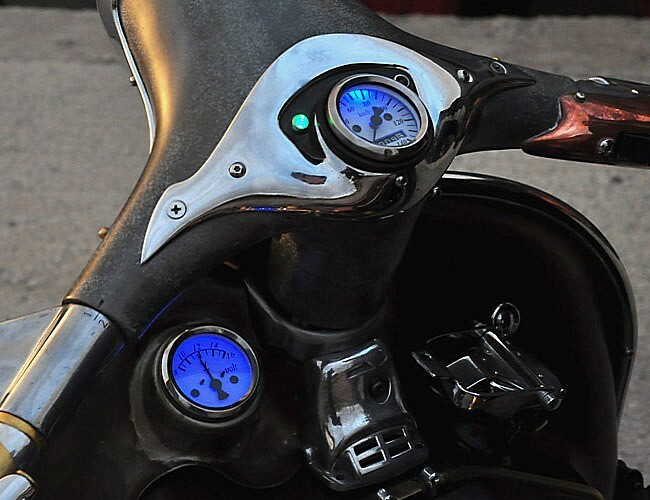 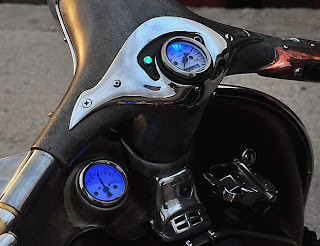 So far Piaggio only sells the Vespa LX125 in India, and this automatic transmission scooter is quite expensive in comparison to other similar vehicles. 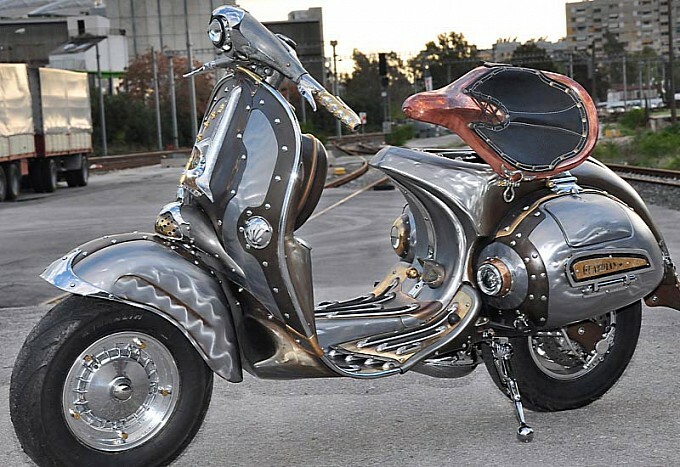 That's why we (and Indian customers) will most likely see more models rolling out from the Vespa factories. Ravi Chopra, chairman and MD for Piaggio Vehicles hints that the company is looking for way to increase the sales figures up to the 100,000 bar. 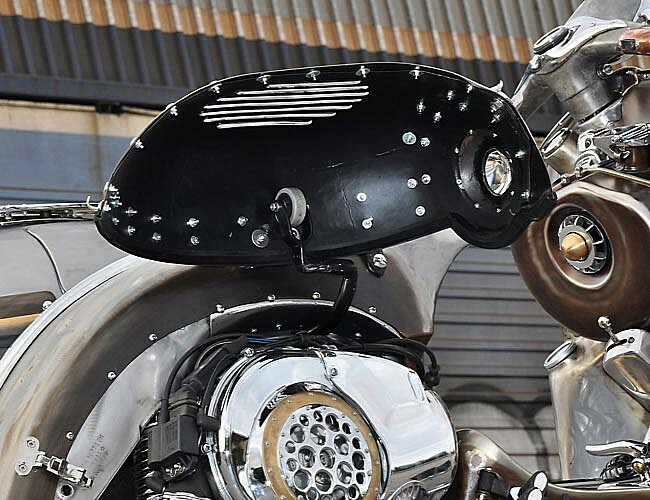 The production capacity is now 150,000 units a year, but Ravi Chopra hopes to see it growing by October. 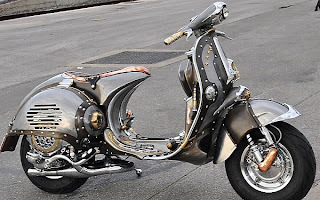 At the same time, new variations of the Vespa scooter are being considered, a sporty one and a more widespread presence of disc brake-equipped vehicles being only some of the objectives.